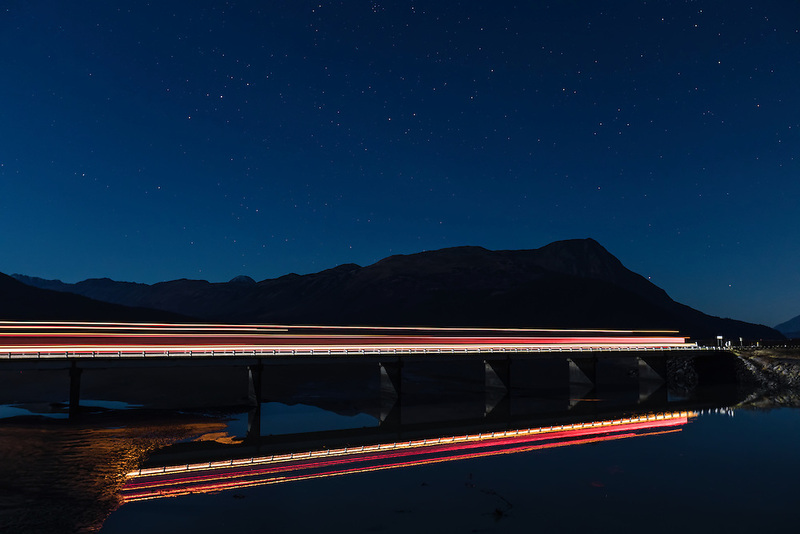 Truck lights reflected in Portage Creek along Turnagain Arm in Southcentral Alaska. Autumn. Evening.